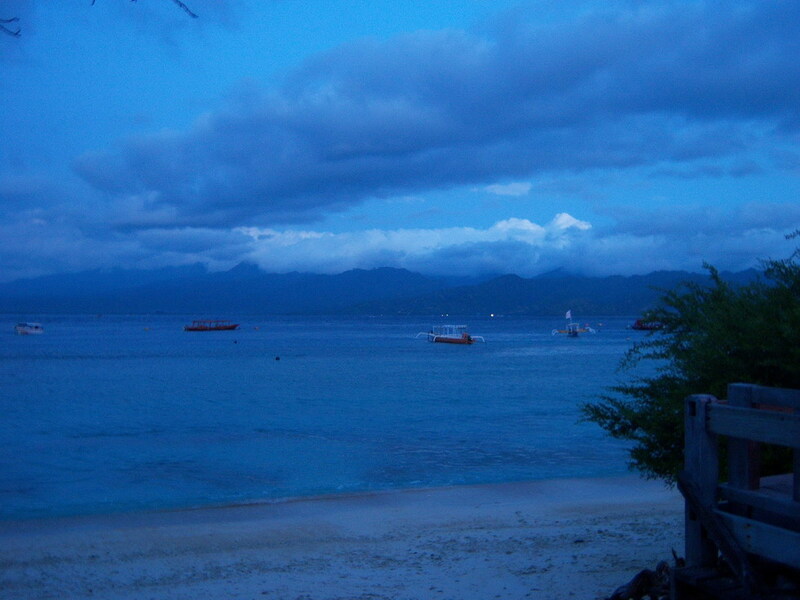 Gili Trawangan: A little piece of heaven. 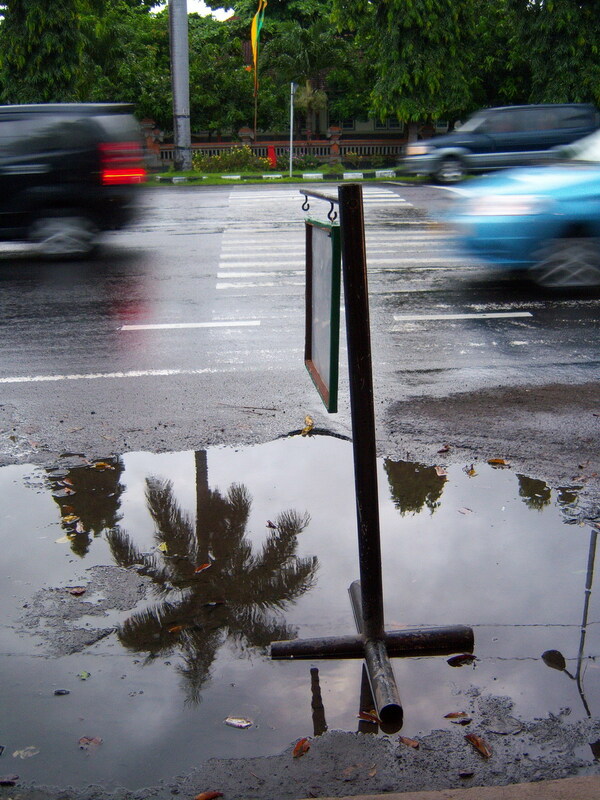 I arrived at Denpasar in the afternoon of a rainy May, bargained for 80.000 rupiahs with the cab driver to take me to my friend’s house near Sanur Beach. It was a 2-hours drive from Denpasar to Padang Bai. I didn’t know it was actually far. It was about 10 pm when we arrived. And we didn’t know that the harbor was quite scary. My man, Bandi planned to take the midnight ferry so we’ve waited about 2 hours. However, I thought it was a bad decision to take a midnight ferry coz we were the only traveler here and everyone seemed suspicious. We walked around the beach in Padang Bai and thankfully found an inn to stay. “It was GORGEOUS!! !” and he was unstoppable of telling me how gorgeous the island was and his experience of trekking the Rinjani Mountain in Lombok. However, again, we changed our mind, and til this time, it was the best decision ever! 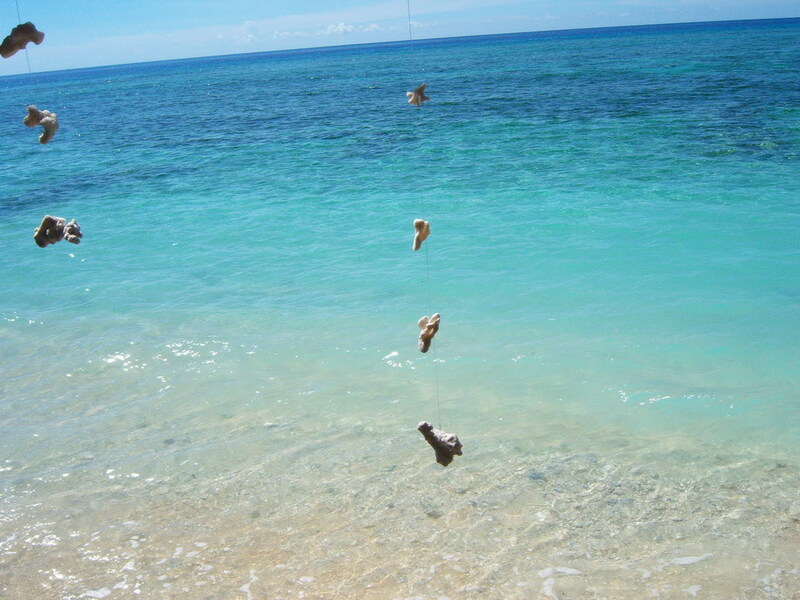 There are 3 Gilis in the northwest of Lombok Island. 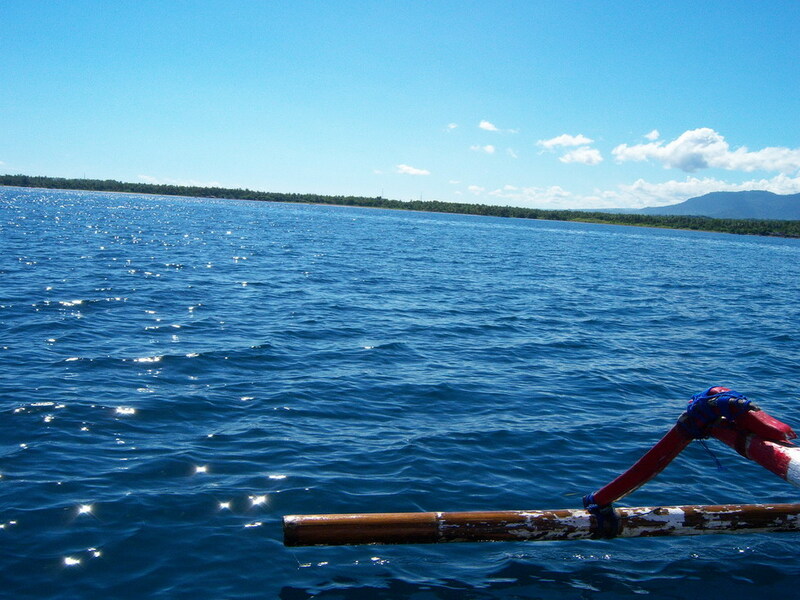 Gili Air, Gili Meno and Gili Trawangan. 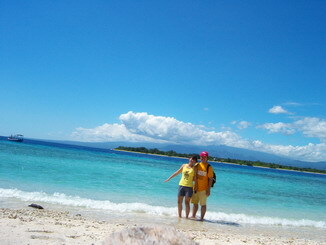 Gili Trawangan is the biggest one and the most visited, so we picked it. We got quite low price because we’re Indonesian people and could bargain the price in bahasa, but the Canadian guy said some western people could get our price when they’re lucky, including him. It was about 450.000rupiahs (2 persons) for the whole transport from padang bai to Gili and back to Kuta. I will explain later about how to get thereThe ferry was surprisingly comfortable and if the weather is great you could see this the whole day.. I hate long trip but thank god, it’s worth it. The ferry was surprisingly comfortable and if the weather is great you could see this the whole day. 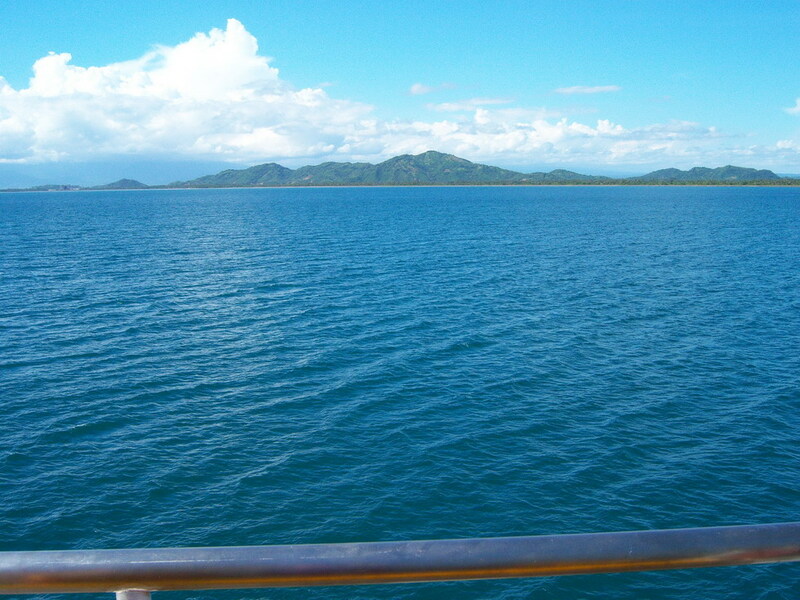 View from the Ferry. It's a 6 hours trip! Arrived at Lembar, Lombok, we still had to take the shuttle bus from the harbor ro the other side of the island, to Bangsal harbor. But this harbor is only for small boat like fast boat and fisherman boat. We took the fisherman boat and it was pretty cool! The first thing we did was renting a bike. well, it wasn’t really a good decision coz it turned out that you can walk around the island for maybe an hour (if you walk fast), and the path was mostly sandy so it was hard for riding a bike. If you had so much time, you can try my way. I was going half round the island just to find a perfect bungalow to stay. Well, it cost a little bit more but I loved that place, it called Grasia. Most of the hotels or inns are run buy expatriate and Indonesian people works for them. It was a sad fact actually, coz Indonesian government doesn’t really care about our tourism. The funny thing is the local people speaks English very well, I think even better than they speak proper Bahasa. They speak local language (which I didn’t understand at all) with local people, and English with the travelers. There are tons to do on the island. You can go diving with the diving community, or if you can’t dive, you can take a lesson there. It was about 800.000 rupiahs. Or if you’re afraid (like me), let’s justsnorkel. It wasn’t my best snorkel experience, but Bandi said it was pretty good. Well, Bandi swam way further to the sea so I think he got better view. You can also just stay on the small huts and read a book. 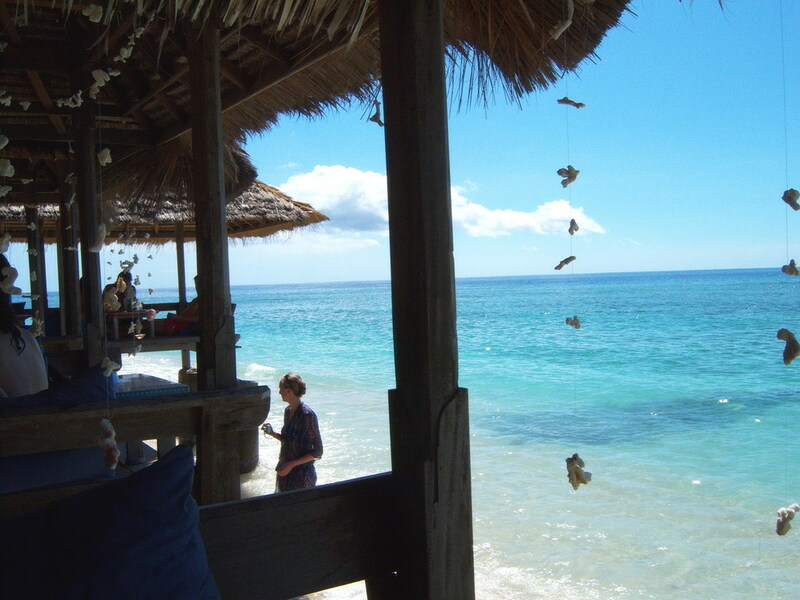 If you ate in Coral Beach 1, you could stay in the small hut andlay down or just sit there watching the gorgeous beach. You can trek around the island, you can bike, you can get drunk at night or eat the ‘magic mushroom’, which is the must-try-local-mushroom. You get what I mean, right? This might be the best tip I would ever give to you so listen, don’t eat dinner far from your hotel, coz at night, there aren’t lights at all. WHY? I stayed at the east side of the island and ate dinner at the west side of the island, so when I walked back after dinner (about 7:30 p.m.) to my bungalow the path was REALLY scary! Seriously it was creepy! And remember, Asia has so many creepy ghosts. (I can’t believe I said that). You can take ‘andong’ (a two wheel carriage drawn by a horse) but the cost is 50.000! Imagine this, at night, complete dark. So, no! 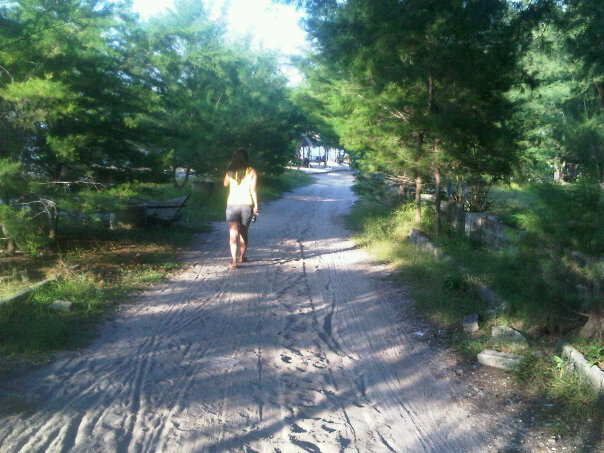 I’d rather walk and took the risk of anything it was. Thankfully everything was ok, but it was the longest walk I’ve ever had, especially in some path where there were no buildings at all. I could only walk as I was blindfolded, hearing the sound of waves and crickets and feeling the grass all over my calves. IT WAS BEYOND SCARY! The easiest way is taking a fast boat from Padang Bai, Bali straight to Gili Trawangan, but the cost is 600.000 per person. It’s one hour trip. And going back to Bali with the same route. I got a good deal with paying 450.000 for two persons for a round trip. Try to bargain! This entry was posted in Dreamer's highways, Traveler's Ink and tagged Gili Trawangan, how to go to gili trawangan, how to go to Lombok, Lombok, traveling, Visit Indonesia. Bookmark the permalink. awesome!! i’ll go there someday!! 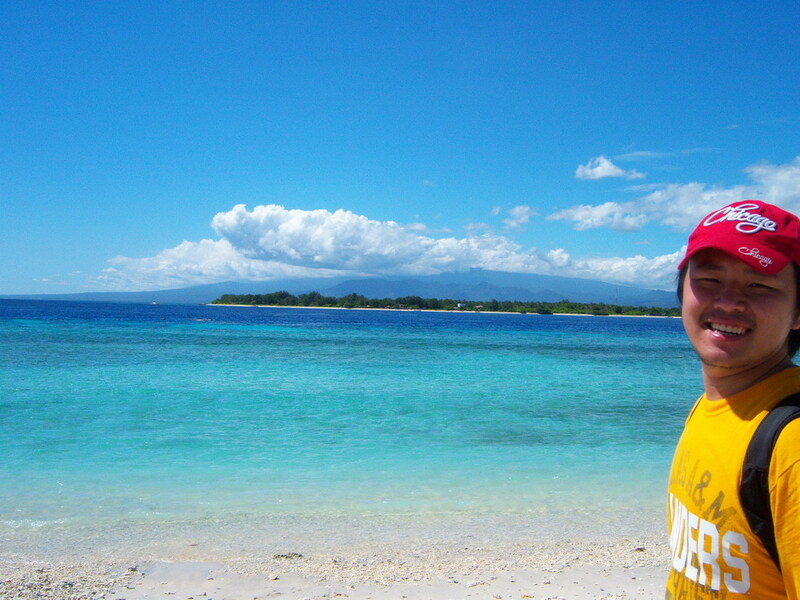 great read, i just came back from gili air, it was amazing. But not so cheap for me, per person it was 1.1mil rtn! we took a fast boat from benoa and it only took 2 hours to get there. we booked ahead with gili-paradise.com, and they were great. I just dont have the patients for bargaining anymore!! This place has always been in my list for years. Since I was still a high-school student if I’m not mistaken. Yet I haven’t visited there. One day I must be there and hike the Rinjani.